sadly, (especially on a mac) the intel hd 4000 driver is still mostly broken. There is a new version included in the newer linux kernels that should in theory work fine (i did not test it personally yet since i do not have an intel hd 4000). Older intel gpu do work to some extent on linux with ss2, at least about as well as they do on windows, which is pretty limited but functional enough to play usually. As far as i know off, you do not have control over your kernel per say on mac, so you cannot merge in a backport of the new driver into your older kernel (i don't think theres a mac release on the new kernel just yet). From the tests i did, one of the major badly implemented feature in the older (granted they never claimed it was complete) intel driver for the hd4000 is render target support, which unfortunately we use for quite a lot of important things to render ss (from rendering the gui to the radar, passing by floaties / map / target and even the background) If you are at medium or higher graphic, a few render targets are also used for the main buffer so that we can apply bright pass, distortions, blur etc. So all in all, while its true the intel HD 4000 does in theory have the hardware capability to run ss2 without flinching. Intel HD4000 driver support on the "current" unix kernels is crap at best. It works, so long as you barely use it, as soon as you try to use any of the internal hardware accelerated features, all hell break lose xD. On the other hand, it also mean that if its not already available, there should be an update available for your mac at some point in the future fixing those issues, considering its already available for linux (and has been fixed on windows since intel hd 4000 release give or take a few weeks). I'm almost positive they haven't released it yet, but I'll be sure to double check. I'll continue to persevere until I'm completely stumped. I have a mid 2012 MBP with Retina and when I force the machine to use its Intel card the game's graphics become scrambled within a second after launch. It's possibly Jey knows some way to get it to work, but I would guess it's not for beginners. Im running on wine and during normal game play everything seems fine but whenever lots of shooting happens (3-4) people or ai i get severe lag and graphical issues that cause parts of some ships to dissapear and gives the game a 2d and block appearance. The game usually returns to normal afterword but it makes it almost impossible to play with multiple people. In some severe cases the last key pressed seems to become forced on and overrides every other even after graphics return to normal. This seems to happen on all settings. it indeed sound like the lagkiller is kicking in. I'm more interested in the why you would be getting such lag in the first place tho. The 5 machines i use to test the client builds on wine all seem to handle multiple projectiles / players with normal impact. (gunner with tons of splash laser shooting everywhere will lag you on windows or wine just the same right now xD). Lagkiller is a feature that kick in when your fps drop too low and start removing stuff in an attempt to get your fps back up. But its far from perfect and for some people its too aggressive, /lku 0 in chat will disable it permanently (/lku 10 will reenable it), you can also use /lku 3 or 5 to enable it but at a lesser extent. Laglevel under 5 are reserved for optimizations that do not severely affect things visually, the higher the number, the more aggressive the optimizations. As a note, if you have game breaking problem on wine, you are welcome to send me a pm. I notice those a lot faster . i really wish someone could give me an idea how to fix this issue. i think it's really heartbreaking to say on the ss main page it's downloadable on mac. After all the steps and reinstalling and installing again to make sure it's all perfect, click sign in!, boom in your face no ss for you. Looks like you're using an intel graphics card. Am I right? intel iris 6100 , updated and everything. Sorry for the delay in the reply, as i mentioned earlier in this topic. 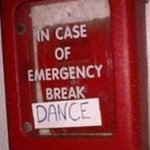 I dont often check it unless someone tell me to xD. As for your problem, its a generic issue we have with just about all intel gpu on wine. They have very poor support for render target texture (which we use a lot off), id recommend you try a virtual machine or dual boot with windows instead, the windows drivers are a whole lot better sadly. Hi! Long-time fan of the game here. Recently switched to linux and I'm trying to get it to run, but having problems. With wine, I've tried all kinds of things (just running the standard downloaded installer .exe, with and without winetricks set up, or using the fancy linux installer), but always get this same error message and can't run the game. 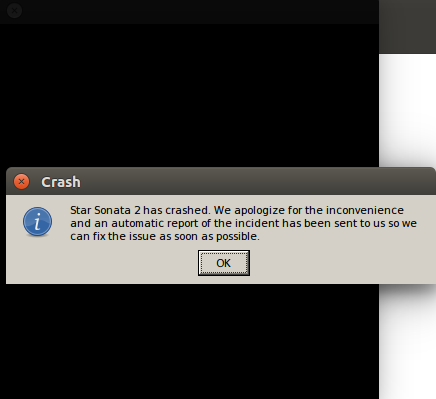 "Star Sonata 2 has crashed. We apologize for the inconvenience and an automatic report of the incident has been sent to us so we can fix the issue as soon as possible." I looked for crash logs or something like that, but I'm not sure where to find them. What's especially weird is, I a different error trying to run starsonata on a windows VM. "Unable to create d3d devide - An error happened during the initialisation of the d3d device"
I have an AMD graphics card, so I'm hoping I at least avoided the intel problems, but I can't tell what's going on. Can anyone help me out? Glad to hear you have an AMD card. Our lead code dev is an old hand at running SS on Linux so I'm sure he can help you sort this out. I've notified him of this thread.